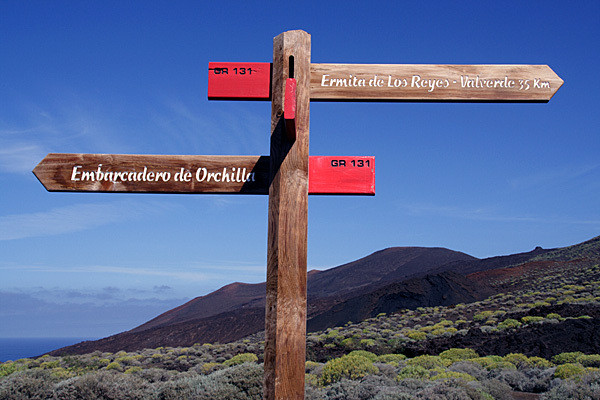 The GR 131 is a new island-hopping trail that starts in a remote part of El Hierro. The Roque de Agando towers over Benchijigua on the island of La Gomera. 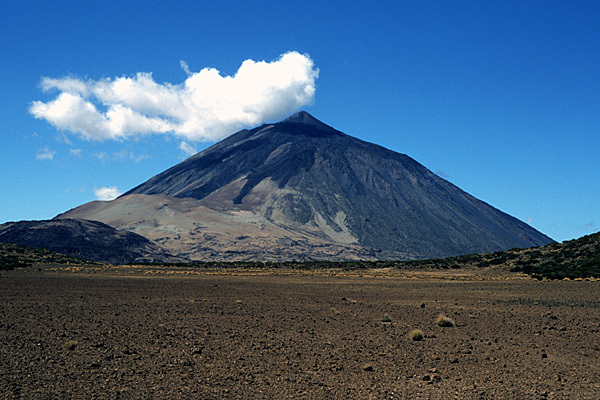 El Teide is the highest mountain on Tenerife, and also the highest in Spain. The Canary Islands comprise seven highly individual islands and this book covers the four western islands. Tenerife is the largest of all the Canary Islands, while La Palma, La Gomera and El Hierro are the three smallest islands in the group. Fifty amazingly varied routes are spread throughout these four islands and the route research was spread over a total of six weeks in two visits. The routes on El Hierro include a couple of weekend walks stretching most of the way across the island, as well as a walk heading to the southernmost point. 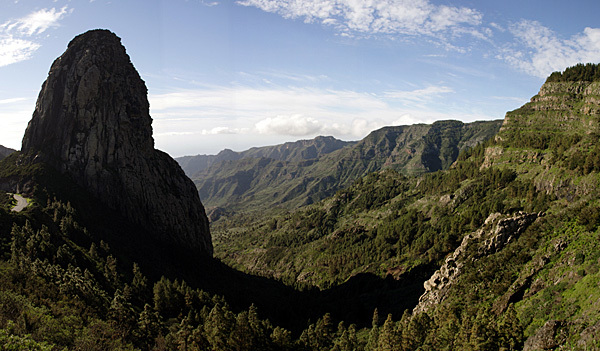 La Palma boasts some spectacular routes - most notably the GR131 over the main mountain crest of the island. This is offered in the form of a five-day walk, and there are other one-day walks on the island. La Gomera features another five-day walk halfway around the island, as well as a weekend walk across it, and a couple more one-day walks. Over half the walks in the guidebook are on Tenerife, where El Teide rises as the highest mountain in the whole of Spain at 3718m (12,198ft). An ascent is offered in the form of a four-day trek, and there are several more walks on or around the mountain. The western peninsula of Teno and the eastern peninsula of Anaga are explored using routes stretching over three or four days. Walkers are surprised to find enough walking opportunities to last them for several visits, taking in high mountains, pine forests, 'laurisilva' woods, semi-deserts and lush cultivated slopes. Explorations of these islands can be continued with a companion volume - Walking in the Canary Islands - East. This offers fifty more walks on the islands of Gran Canaria, Fuerteventura and Lanzarote, bringing the total distance covered in both volumes to over 1600km (1000 miles). This guidebook is now out of print and has been replaced by three completely new guidebooks, taking into account recent signposting and waymarking of trails.